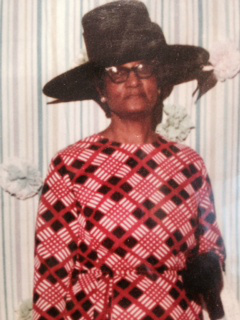 I placed this picture of my mother on this page - because she was my role model of a "Woman of Substance"! We see a lot in the news media about children being bullied in school and on social media, but seldom do we read about adult bullying, which of course is subtle, but no less intimidating to the adults who find themselves a target. According to “Bullying Statistics”, “One would think that as people mature and progress through life, that they would stop behaviors of their youth. Unfortunately, this is not always the case. …. While adults are more likely to use verbal bullying as opposed to physical bullying, the fact of the matter is that adult bullying exists. The goal of an adult bully is to gain power over another person, and make himself or herself the dominant adult. They try to humiliate victims, and “show them who is boss.” They have huge egos and they are always right! Social media is often the adult bully’s tool of choice. Please note, this is my blog and the scenario and Backstory I am about to set is simply MY imagination working overtime. Sisters, Sally and Jane see an ad for a day spa “Come and Enjoy Our Most Popular Package – Bring a friend – Pay full price for One and half price for the other”. They decide to go together and split the costs 50/50. They have a wonderful time and when their services are complete, Jane dresses first, pays her half of the bill and leaves; Sally is running late and forgets to stop at the desk. When the spa staff realizes what has happened, they simply charge Jane’s card for the entire amount – assuming that’s what they were supposed to do because the two customers were there for a “special” meant for two. When Jane arrives home that day her credit card bill is in the mail, so it isn’t until the next month, when her new bill arrives, that she realizes the spa has charged the full amount on her card. She assumes it’s a mistake and calls the spa to have it corrected, but they explain they didn’t receive any payment from Sally and since the services were booked together, they thought charging Jane’s card would be okay. Jane then calls and brings the mistake to Sally’s attention and asks that she straighten it out – either by calling the spa and giving them her card number of giving Jane the cash to cover her half. It’s now six months later and Jane’s credit card has not been credited nor has Sally paid Jane directly. In the meantime, Jane has become a “debt collector”: she talked with Sally and asked her to pay; she’s left numerous voice mail, text and email messages; she shares the story with and asks for advice from “Big Mama”, all to no avail. One day Jane is ill, it’s between paydays and ordinarily she would use her credit card to pay for her prescription, but she can’t this time because Sally still hasn’t paid her, nor has she heard from her. Jane loses it and calls Big Mama to vent. Frustrated about the situation and seeing no end in sight, Big Mama decides, after reading a paper by George N. Root, in EHow, that stated in part, “Exposing a fraudulent company through the media will not only warn others about doing business with that company, but it can also help you get justice for your own situation”. Though Mr. Root was speaking about businesses, Big Mama decided this this might also be a good way to bring this situation to a head and she proceeded to place a post on FB to try to shame her granddaughter into taking responsibility for her actions. She did this knowing that she, Jane and Sally share many family and friends on FB. “Two people close to me shared a day at the spa and agreed to split the bill 50/50, but it was all charged to only one card. I want these two to get together and take care of this NOW! This person needs her money”. Sally and Jane’s circle of family and friends spend a lot of time together, but after most outings, someone is usually miffed about something Sally has said, done or not done. For example, once when Sally was in charge of arranging an outing, she told the group that breakfast at the hotel was free and many planned their spending money accordingly. Upon the group’s arrival at the hotel, they were informed that the hotel didn’t provide a free breakfast. When the discrepancy was brought to Sally’s attention, she became indignant and rather self-righteous “I didn’t tell you that, but if I did, mistakes do happen!” Since then, people have been slow to confront her - she is known to “low-rate” people who challenge her, and no one wants to deal with the drama. But this time is different because money is involved and Jane needs the money to be repaid. “I’m so sorry, I simply haven’t had the money and I was embarrassed to tell you, but that’s no excuse for avoiding you. Can we set up arrangements for me to pay you? Big Mama, a Woman of Substance, could then have cleared the air by with the following post: “Sorry about that earlier post, I had my facts wrong and spoke too soon. It was just a misunderstanding and everything is fine”. “I’ve made mistakes in my life. I’ve let people take advantage of me and accepted way less than I deserve, but I’ve learned from my bad choices and even though there are some things I can never get back and people who will never be sorry, I’ll know better next time and I won’t settle for anything less than I deserve”. I also hope that you better understand that it’s okay to applaud Big Mama for how she handled her situation just as it’s also okay to hope that Sally will smell the coffee and realize she will have to change her ways if she wants to regain the respect and trust of her family and friends.